[toc]Pain is often the result of injuries or conditions such as arthritis. Joint pain, back pain, muscle pain and chronic pain can often be signs of a deeper problem. It is a good idea to seek medical counsel for your pain related symptoms. But herbal remedies can also make a difference to you. Herbs which can heal pain include Turmeric. Ginger, Arnica, Devil’s Claw, Meadowsweet, Valerian, Wild Yam and Eucalyptus. Pain relieving properties of these herbs make them very good remedies to be used by persons suffering from this condition. Herbal remedies can work wonders for you without causing any adverse side effects. Do consult your doctor before opting for any of these herbal remedies, especially if you are already taking some medication as well. Filipendula Ulmaria is the Latin name given to this herb. It is useful for easing inflammations. 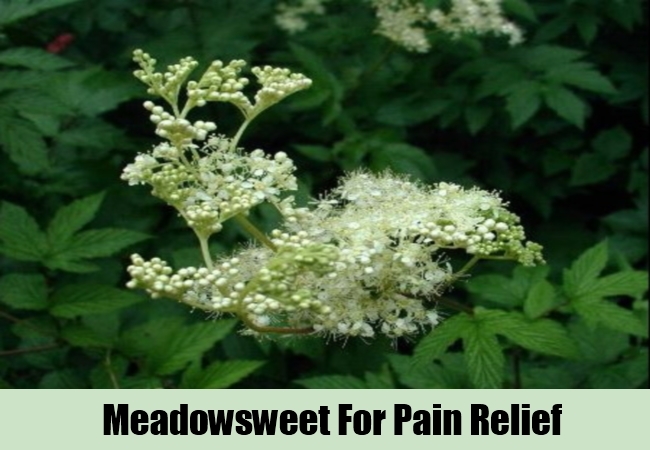 Meadowsweet also lessens pain and ensures relief from painful conditions. This is because this herb is rich in chemical ingredients called salicylates which help to ward off pain as efficaciously as allopathic medication. Meadowsweet is commonly known as Lady of the Meadow. This herb is generally taken in the form of tea for relieving pain. Boil dried leaves of this herb in hot water till the water simmers and then add some natural sweeteners such as honey, agave or Stevia leaves to the herbal tea. Drink this tea regularly for good outcomes. This herb is native to South Africa. Its botanical name is Harpagophytum Procumbens. This herb contains certain substances called iridoid glycosides which are very beneficial for relieving pain. The iridoid glycosides such as harpagoside and harpagide are as effective in relieving pain as analgesic pain blocking medication. This herb is also a potent anti-inflammatory which reduces swellings caused due to injuries. This herb can be taken in the form of an extract or tincture for relieving pain. You can also add a few drops of Devil’s Claw tincture into hot water and put some of this mixture on a compress. Press the compress against the painful areas for instant relief from this problem. Avoid this herbal remedy if you are on any medication for blood thinning. The scientific name of this herb is Zingiber Officinale. Ginger contains gingerols which relieve pain and give this herb anti-inflammatory properties as well. Ginger root can be cut into small slices and used to brew tea. You can drink this tea to ensure complete and lasting freedom from pain. You can also boil the root in hot water and let it become soft. Then, you should place the root in a clean cloth bag. Use this as a poultice against parts of your body where the pain is immense. 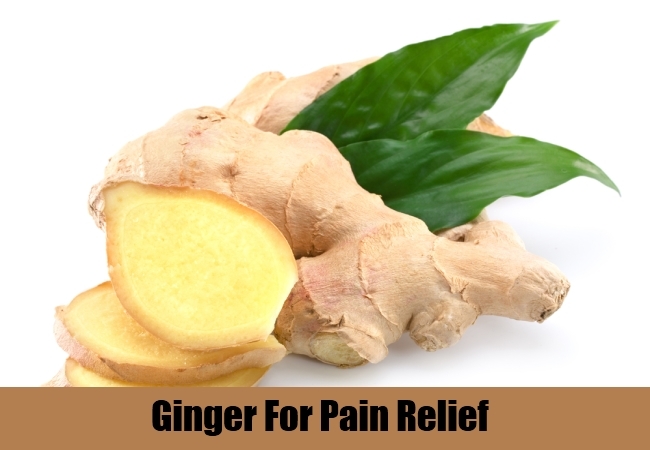 The curative powers of Ginger will ensure that the pain will gradually diminish and disappear. Valeriana Officinalis is the name given by botanists to this herb. It is a good herbal remedy for pain relief. 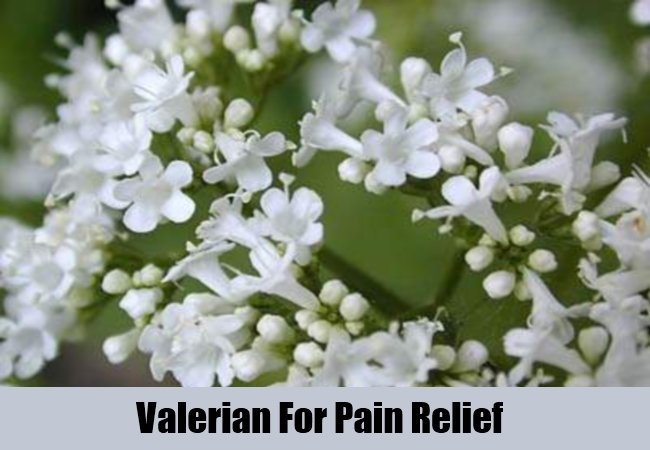 Valerian is also a natural sedative and muscle relaxant which soothes pain caused due to muscle strains or injuries. Valerian root extract can be taken to ensure relief from the pain. You can also crush the root of this herb into a fine paste using a pestle or a blender. Apply this paste directly on the areas which are paining. Regular applications of this herb will give you relief from the pain and also reduce your stress and tension. Nerve pain can be very easily treated using Valerian as this herb tones and soothes the nervous system. Curcuma Longa is the Latin name of this herb. 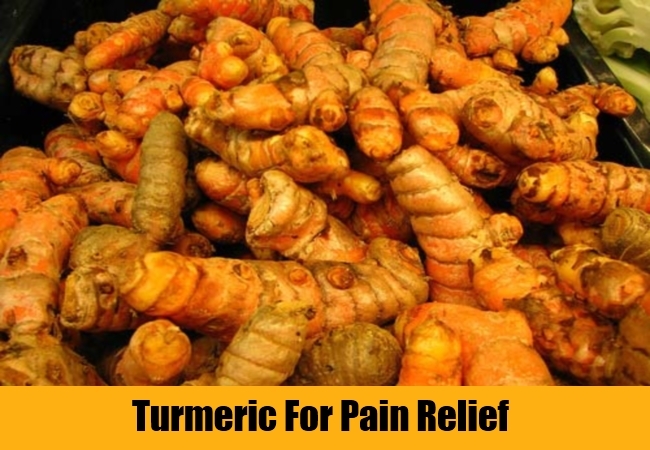 Turmeric is a well known cure for pain relief. It is effective for pain management because it enhances the circulation and reduces blood clots. It is very efficacious in healing joint pain and swelling. A substance found in Turmeric called Curcumin has been demonstrated by researchers to possess anti-inflammatory and pain relieving properties. Due to this, Turmeric is a good cure for conditions such as arthritis and sports injuries which cause pain. Paste made from the powdered, dried root or rhizome of this herb can be applied onto the areas where you are experiencing the pain. Repeated use of this paste will be very useful for ensuring quick pain relief. Turmeric powder can also be added to hot milk and consumed for good results. Dioscorea Villosa is the botanical name of this herb. It is excellent as a pain relieving remedy. 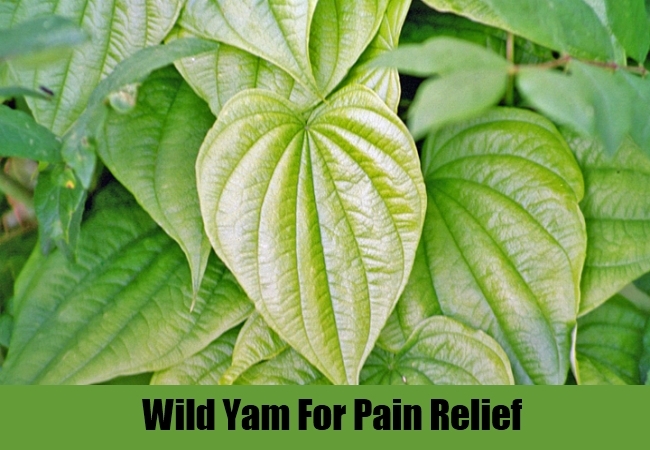 Wild Yam has anti-inflammatory and analgesic properties. It can also cure nerve pain with ease and rapidity. The root of this herb can be applied in the form of a poultice to relieve inflammation and pain. Wild Yam root must be boiled in hot water till it becomes soft and completely moist. Then, you should apply a poultice containing this root on the parts of your body which are paining. The water in which the root is boiled can also be applied on the skin using a compress. 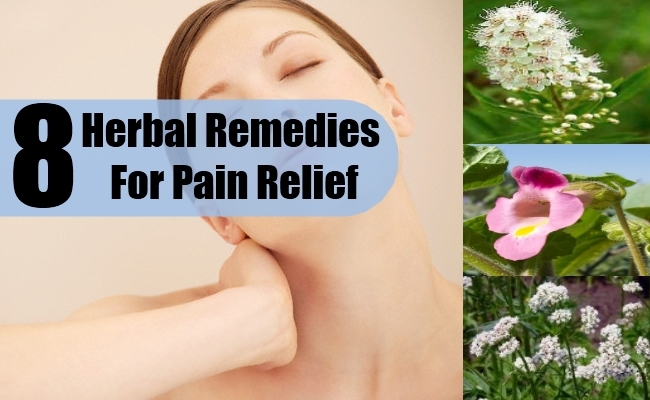 Through the use of such herbal remedies, pain can be lessened and eventually eliminated. Eucalyptus or Eucalyptus Camaldulensis is also known colloquially as Red Gum. This herb contains the ability to relieve pain and ensure relief from conditions of chronic pain. 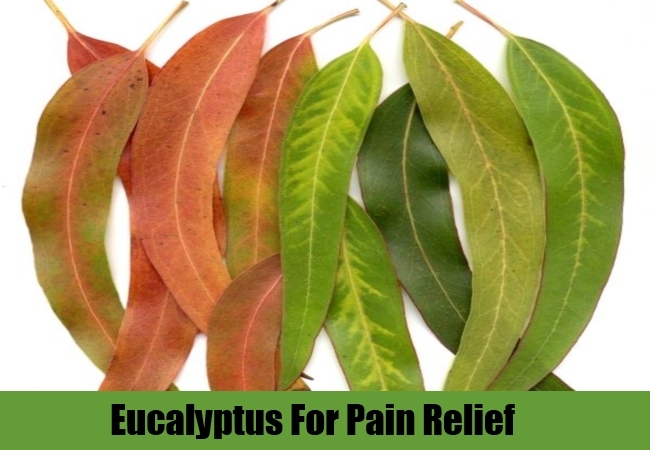 Eucalyptus oil is specially beneficial for use as a remedy for pain management. Eucalyptus oil should be diluted by adding some Almond or Olive oil to it. Then, it should be heated slightly to enhance its curative powers. The oil can be massaged onto your body to improve circulation and ensure that blood and nutrients reach the body pain which is paining and speed up the healing process. This herbal oil is also antiviral so it can cure infection induced pain as well. Arnica Montana is the name bestowed by botanists on this herb. Arnica is a herb with pain relieving properties. It is native to the alpine regions of Europe. Arnica leaves were used as a pain relieving remedy for cuts, wounds, bruises and injuries by alpine mountaineers since ancient times. 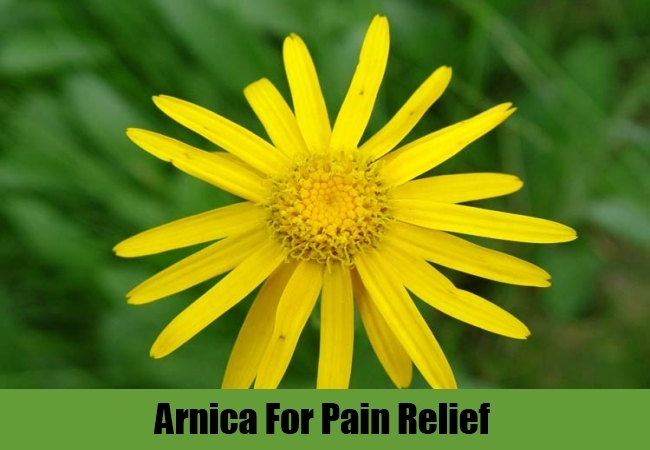 Arnica oil can be applied on the painful areas to gain freedom from the ache and the soreness. Arnica is a well known remedy in systems of medicine such as homeopathy because of its ability to cure pain and soothe inflammations.